Ever wanted to rent something peculiar during your holiday? Well, here are five rentals that are bound to set you up for a ride. All on wheels, these properties have been converted from movable machines into cosy homes. Have a look! Whilst you normally lie in the middle of nowhere when it comes to habitable vans, this custom-built caravan is right in the middle of the shindig. Situated within the busy streets of Omotesando, it is parked within a hip residential complex, where galleries, street food venders, and coffee shops are close by. Thus, giving a unique rental experience in Tokyo, on wheels! Location: Shirley Basin, WY, USA. Restored from the great age of the1920s Westward, this sheep wagon provides clients with an authentic romantic American experience. One can find a comfortable bed, a cooking stove, electricity, and a wood-burning oven. This vintage studio horse truck has been converted, but has proved intriguing to visitors as the nearby wetlands are just so relating, and the experience of feeding delightful farm animals is unique. 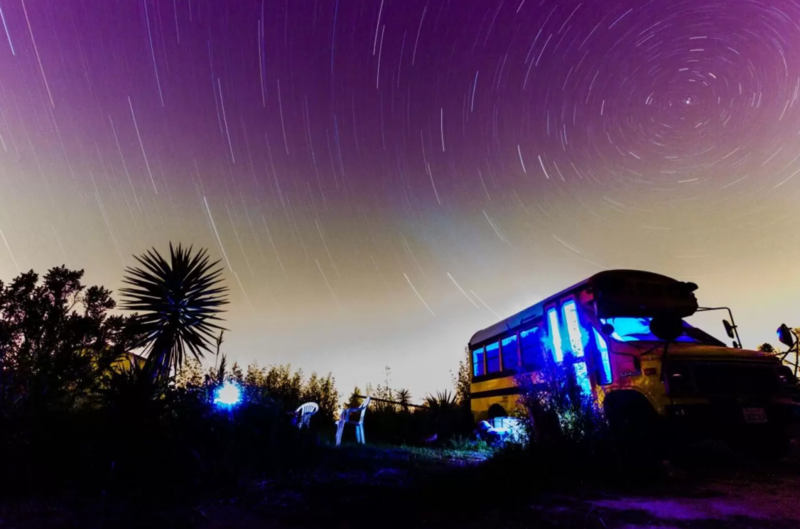 A unique converted School Bus within a five-acre farm in Monterey Bay. Offering remarkably cosy interiors and wide views of sunrises and sunsets, it’s a 1 bedroom, with access to the hosts' bathroom and kitchen in their nearby house. You can also indulge in a sunrise yoga and fresh eggs from the farm's chickens. A stylish '70s caravan located in a river valley should sound incredibly tranquil – and it is!